After years of waiting and limited trials, businesses finally have their own WhatsApp solution. 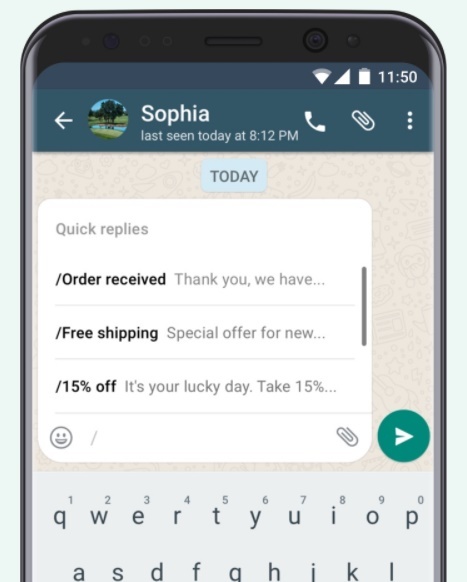 The company today launched the simply-named WhatsApp Business, available on Android devices as a free download. According a WhatsApp spokesperson, the current feature set will remain free in the long term, but WhatsApp plans on charging for additional capabilities in the future. Basically it’ll eventually take on a freemium model, but at least the company doesn’t plan on taking away any existing features, and you are getting a fair bit of functionality to start. The app is already up and running from the Google Play Store in Indonesia, Italy, Mexico, the U.K. and the U.S. The rest of the world will be able to access the app “in the coming weeks.” For more on WhatsApp business, check out the web hub here or the blog post at the source link below.